Helping domain investors work faster and smarter since 2002, working with Dynadot might be the best investment you make. Do you manage a large portfolio of domain names? If you are a domain investor, web design firm, marketing agency, or an entrepreneur with multiple domains under management, your needs are unique and differ greatly from a traditional retail customer. Whether you are buying domains in bulk to add to your holdings, or ready to make that sale of one of your premium domain names, you require a registrar that can keep up with you and your business, especially at a time in the domain industry where the number of domain extensions has exploded and continues to grow. Learn how Dynadot can help you meet your domain investment goals today. Our proprietary, state-of-the-art account management platform makes working with Dynadot a breeze. Built from the ground up and enhanced over the past 15 years of customer feedback, our control panel is tailor made for domain management. 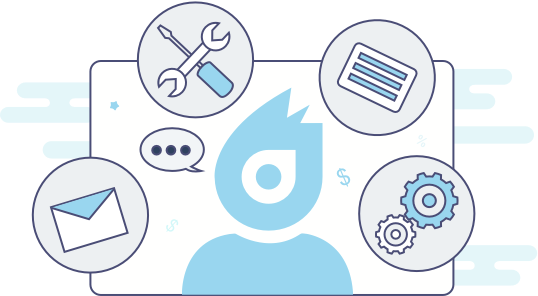 From sorting your domains to streamlining the buying and selling process, our account platform allows you to focus on what's important - your business. We also offer a domain management API that makes it even easier for you to work with us in your own way. 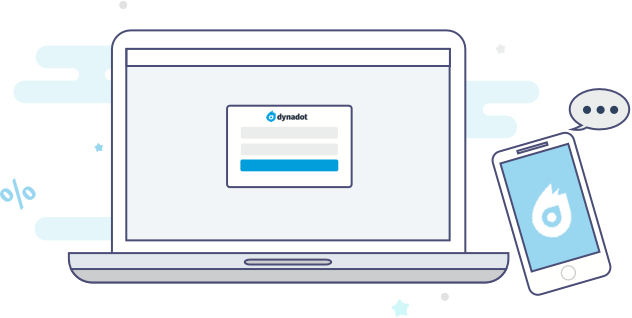 Our account security also can't be beat, with account lock and two-factor authentication available that ensure your account is safe with Dynadot. When you hold a portfolio of domain names with Dynadot, you get access to an account manager who provides you with one-on-one assistance. We live and breathe domain names at Dynadot, so when you are working with your account representative you have someone in your corner who understands your needs and is committed to helping you achieve your goals. Looking for the next domain to add to your portfolio? Dynadot's Marketplace is the perfect hub to buy, sell, or bid on your next domain and it integrates seamlessly with your Dynadot account. From participating in expired auctions, listing premium domains, or placing a backorder on a domain about to be dropped, you have access a one-stop shop that will save you time and money. Dynadot offers discounted domain pricing tiers based on account spending. It's simple - the more you spend, the more you save. We offer bulk and super bulk pricing across all of our domain extensions and the savings don't end there. Once you've reached the bulk pricing tier you get access to exclusive sales and coupons. Ready to get started? Contact us today and learn how we can help improve your business. At Dynadot we take domain name management seriously. With our world class tools, knowledgeable customer service, domain marketplace, and bulk pricing tiers, we are the registrar of choice for domain portfolio owners across the globe.